Yes, this is an “older” album (but I listen to stuff from the 1920s, so “old” is relative). 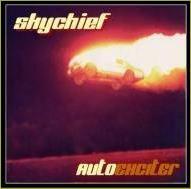 But Skychief is a fine band, and they haven’t gotten nearly as much press as they should (not that this review will help much). Coming out of Akron in 2000, they’ve only put out two releases, and this is their second. They’ve gotten a bit of airplay locally, but never really broken through to a national audience. I suppose it’s because they follow in the punk tradition, and other styles have overwhelmed the popular imagination. But damn, these guys sound good. They’re pretty straightforward, all about guitars and a strong beat. The singing is secondary (although they come up with some pretty good harmonies), as is clarity of production. However, since when did any of that matter in punk? “10 Hours” opens the album, and it sets the tone--fast, loud, and snotty--and I wouldn’t want it any other way. Songs are short and simple, but with more complexity in the guitar-playing than you would have found in similar bands in 1979. Taffi and Disco Steve come up with some nice guitar solos. By track 3, “1000 Orchards,” they’ve slowed down to mid-fast tempo, but seldom slower than that. "Naughty is Nice" even takes me back further than punk, to the old garage bands of the 60s, and wouldn't have been out of place on a Standells album. You may hear a touch of Akron bands from the past, Bizarros, the Dead Boys, and others from elsewhere such as Social Distortion, since they clearly follow in steps of their predecessors, but somebody needs to keep it going. And who better, since Skychief knows how to do it right? Personnel: Taffi (guitar, vocals), Disco Steve (guitar, vocals), Ric Nimrod (bass), Smitty (drums). Tracks: 10 Hours, Upside Down, 1000 Orchards, Michelle 3, Way In, On the Cross, Windows, Feels Like June, Naughty is Nice, Darkside, Feeling Low, Seeds. Eddie LeVert. I Still Have It. Eddie LeVert, 2012. Available on CD-R through Amazon.com. It’s hard to believe that this is LeVert’s first “solo” album. Working for decades with the O’Jays, and then for too short a time with his sons in LeVert, the Canton native is finally on his own. Well, not exactly. He still tours with the O’Jays. My guess is that this album was something he needed to do, whether as an artist, or to prove something to himself. Whatever his motivation, the result is a truly fine album of old-style Philly soul music, complete with early 1970s grooves, wah-wah, and heavy on the keyboards. 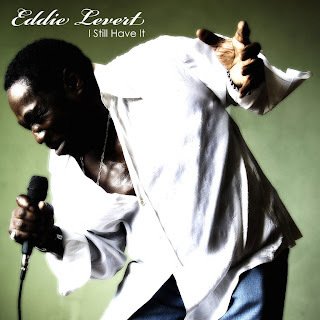 Eddie’s voice is still excellent, a little raspier perhaps than in his early days, sometimes even growly, but it gives him an air of authority that a younger man couldn’t pull off, much like older blues singers. The opening couple of tracks are killers. The mid-tempo burner, “Last Man Standing,” shows him at his most powerful, with heartfelt lyrics and memorable, catchy hooks (You can also catch the video on his web page). “Get Over It” continues the groove, but with a love theme. LeVert does some Edwin Starr-style grunting, and the song builds nicely to a climax that makes it perfect for a single. After these, many of his songs are slower love ballads, awash with keyboards, echo, synths, and background vocalists. Each one is a gem. These are interspersed with more mid-tempo tunes, such as “Don’t Get Much Better” and “Don’t Lie to Me.” He uses just about every musical trick in the book, and it never gets tiring. “Hate’n” is the sole high-energy tune, and it’s a fine one, with riffs reminiscent of early Jackson 5. LeVert surrounds himself with excellent musicians and backup singers. He seems to rely on the singers a tad much, although they are really good, so it’s hard to complain. I wish I knew who they were. The unfortunate thing about the release at this point is that Amazon.com releases the physical product as a CD-R with a generic cover that is worthless in terms of information. The lack of notes is infuriating, however, a little homework tells us that the the songs were all written and produced by Eddie, and was mixed by Tom Moulton, a veteran producer. Get the music any way you can. If you love 70s-style soul, you’re likely to love this album. Performers: Eddie LeVert, with accompanying musicians and singers. 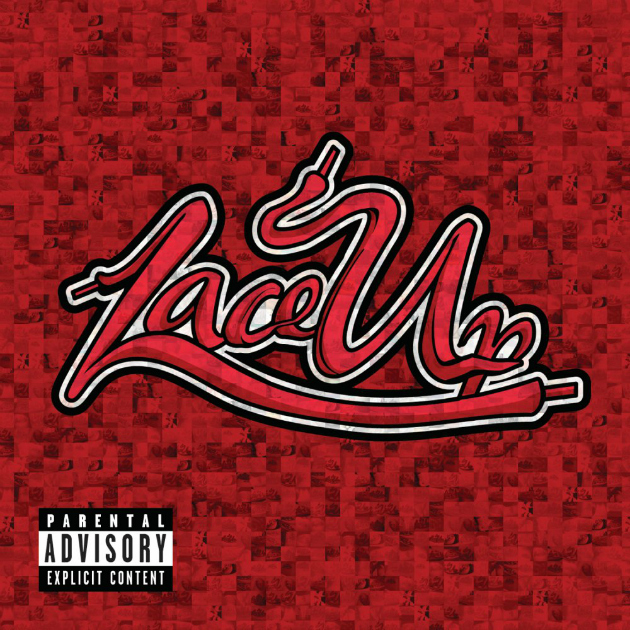 Tracks: Last Man Standing, Get Over It, Lonely, Blown Away, I Like the Way You Move, What If, Don’t Get Much Better, All About Me and You, I Don’t Want to be the One, Don’t Lie to Me, Hate’n, You’re Always There. If you wear your influences on your sleeve, you had better be good at what you do. Nobody wants to hear watered-down, cheap imitations. 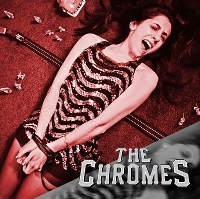 Fortunately, in their debut EP, the Chromes can be confident that they have done a fine job of making rock ‘n’ roll. Recorded in the Buddha Basement in Brunswick (aka, Brian Hager’s house), the band shows off a variety of styles with considerable flair, all in a 1970s vein (with most of the tunes written by Hager), and the result is a fun album that’s worth multiple listens. And with only five songs, that doesn’t take long. It was easy to spot the stuff they love and listen to. “Back of My Hand” could be straight out of the Cars songbook, to the point of using Ocasek’s familiar time stops, but there are some other, less obvious things going on as well, so it isn’t simply an imitation. The same thing happens with “Little Evil,” where the ghost of Marc Bolan rose from my car speakers, and I was tempted to start singing the lyrics to “Bang a Gong.” But I also heard some Stones in there, especially on the guitar solo. “Talk that Walk” is half Aerosmith, half AC/DC, but it’s also a good tune. Regardless of the shameless imitation/homage to great 70s bands, they pull it off remarkably well. The group plays impeccably, and Hager’s guitar shows flashes of brilliance in the solos. Great stuff! The only drawback is Hager’s vocals, which sound a bit too rough and raspy (although they fit “Little Evil” quite well). Perhaps that’s just a miking problem. In any case, the package is a good one (including the cover), and fans of the bands mentioned above should enjoy this thoroughly. You can also catch Hager in some of his other bands, including Vanity Crash. Personnel: Brian Hager (vocals, guitar), Alex Ambrose (drums, vocals), Chip Ficyk (bass, vocals). 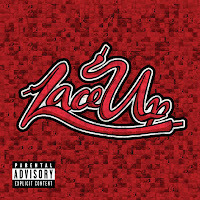 Tracks: Back of My Hand, Little Evil, Talk that Walk, Nothing to Lose, Situation.